As I sat in the cockpit of a Tesla roadster for the first time, I was struck by the compact feel of the car and the tight steering wheel. Applying the gas for the first time reminded me of the feel of a golf cart; push the accelerator and you lurch forward, take your foot off the accelerator and you immediately begin to slow. There is really no need for brakes. The car almost seems to anticipate every move from the driver – intelligent. Cost and price: Buying a wind turbine is typically $80 million to $100 million (its price), while that same turbine will cost around $65 million to $80 million to manufacture. This sales transaction represents a big capital purchase without that much profit for the manufacturer. Useful life: Despite the significant investment, the useful life of a turbine is in the range of 20 to 30 years, with some variability based on the size and type of turbine. The average turbine has blades of around 150 feet in length and some turbines’ rotor diameters stretch between 250-430 feet. Productivity: Turbines are useful only if you are able to transport the energy generated, which means that special consideration has to go into where it is located. Location: Since they are so large, most people do not want one in their backyard, which means that remote locations become common. Off-shoring turbines has become more common as of late, but that makes it even more difficult to transport the energy that is generated. Service: Inevitably, these complex machines will need to be serviced, which gets complicated when you consider location (sometimes they are offshore) and scale (it’s not easy to get to the top of a turbine). Not so intelligent now, but the promise of turbines becoming more intelligent addresses many of the difficulties that are inherent in the business. If the machines could service themselves and consciously extend their useful life automatically, then those two factors alone can dramatically alter the economics. Database logs: Log files produced by an embedded database. Application logs: Data from any log file type from any application. Application server logs: Data from the integration of applications, including operational details and performance metrics. Call detail records: Logs generated from a telecom network detailing each call and session. Sensor data: Data from a sensor on any object ranging from a container on a ship to a railroad car. This data records the exact position of a device at a specific moment. GPS data: As discussed in Chapter 1, “Transforming Farms with Data,” GPS data is a critical source of data, but with applications far beyond agriculture. IP router data: Offers insight on the performance of a network and the devices or objects that are interacting with that network. Clickstream data: Data generated from the clicks on a web page which creates a stream of data on behavior and activity on that web page. Transactional data: Records of financial payments registered by credit and debit card purchases. This is just a sampling of the types of machine data that can be collected, analyzed and acted upon. Value can be derived from collecting and analyzing the data in its native form. It is estimated that by 2020, 40% of all data in the world will be machine-to-machine in form. Airplanes are known to generate approximately 2.5 billion terabytes per year, while sensors on oil wells generate exabyte-size amounts of data. Intelligent machines producing previously unimagined amounts of data flow will transform industries and companies. Drones have been used in the military as weapons and surveillance for years. In the 1990s, drones took center stage with the unveiling of the Predator drone during the Gulf War. At the time, drones were referred to as Unmanned Aerial Vehicles (UAVs), but they have applications far beyond the battlefield. Oil is very hard to find, transport and refine; primarily due to the remote locations that typically house profitable drilling locations. It is normal for a drilling location to be far from cities, remote from established infrastructure (i.e. without access to roads) and difficult to get to. Offshore rigs and barren Alaskan landscapes come to mind. These inhospitable locations make pipeline and drill-site inspection very difficult. British Petroleum (BP) was the first company approved to use commercial drones to monitor pipelines. 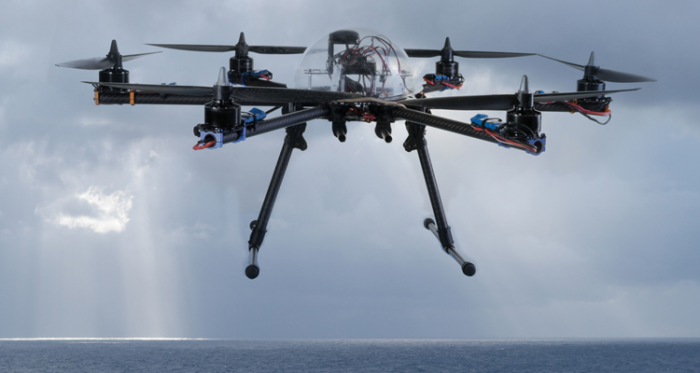 More recently, ConocoPhillips conducted a drone test in Alaska’s Chukchi Sea. Their objective was to survey environmental characteristics and record pertinent data and changes over time, so as to ensure adherence to regulations. Skycatch, founded in 2013, has raised $19.6 million to pursue their ambition of commercializing the use and application of drones. It’s no surprise that Google, which has an unabashed interest in collecting data, is an early investor in the company. Drones from Skycatch are the future of intelligent machines. When a drone completes a flight, it automatically returns to its station on the ground. It is guided in for its landing through the use of its camera, GPS and other sensors. When the drone lands, the robotics in the base station automatically remove the battery (which stores 15 gigabytes of data) and refresh the battery. Then the data from the removed battery is uploaded to a data cloud service for processing and analysis. Whether it is drones, Teslas, wind turbines or an aircraft engine from General Electric, each of these intelligent machines becomes a node on a network of data. The intelligence lies not only in the machines, but also in the network itself. And the aggregation of data in the network can be funneled back to the machines (nodes) to improve their operation and productivity. Networks of data are forming in many industries, even those in which you would least expect it. Even the shipping industry, which has been around since the 15th century, has begun to operate as a network of data. Cargo ships, containers and the ports that they utilize have evolved to be nodes on a vast global network by leveraging GPS technology on ships, RFID tags on containers and track/trace technology. A look at how the number of countries acting as nodes on the shipping network has evolved since 1960 is striking. The increase in shipping nodes has altered trade balances and, perhaps more importantly, the landscape of the shipping network. Similar networks of data are being formed in every industry and geography. Understanding these networks and participating/creating them will shape competitive advantage in the next century. This post is adapted from the book, Big Data Revolution: What farmers, doctors, and insurance agents teach us about discovering big data patterns, Wiley, 2015.